How Do I Train For A Mud Run? /Blog/How Do I Train For A Mud Run? Posted on June 16, 2018 by admin wrote in Metabolic, Mobility, Power, Strength. It has 0 Comment. So you’re thinking about doing a mud run? Or you’ve already signed up for one! So how do you prepare for it? Just like training for a 5k, tennis match, or basketball game, we must first look at what the task involves before we decide what exercises to choose for the program. For example, tennis training will include agility drills because of the side to side sprinting involved. Basketball would have jumping in its program for obvious reasons. 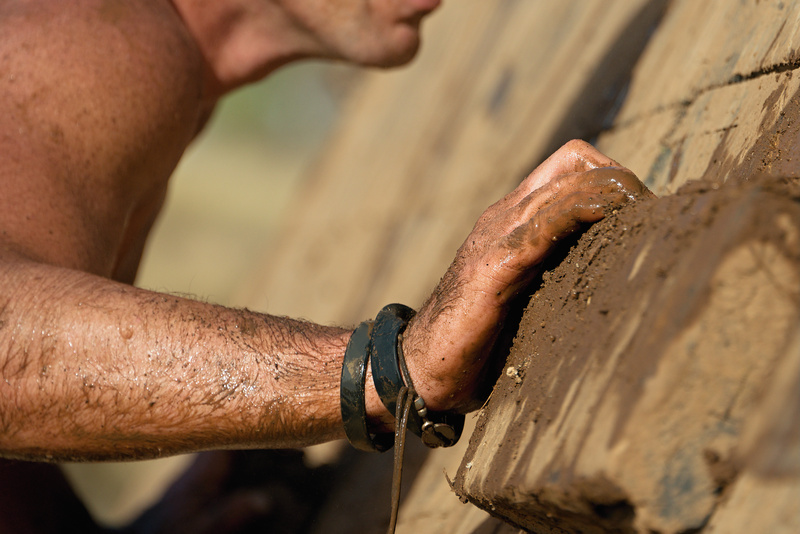 So what do we need to train for in a mud run? This is the part everybody skips or spends the least amount of time on but is one of the most important components of training. A mud run course can be very demanding, if we have an area on our body that is tight, hurting or lacks stability we need to immediately address it in our program. Otherwise we risk discomfort or pain in training and on race day. Make sure to functionally stretch and add balance exercises into your program. Too many times in the races I’ve completed I’ve seen people have to stop because of a rolled ankle, cramping hip flexor, or back pain. These individuals did not prepare properly and were unfortunately unable to complete their task. Mud Run courses come in all shapes and sizes. It is important again to look at our task at hand. Is this course flat or hilly? Or on the side of a mountain? How long is it? What type of terrain will there be? Once you’ve identified the answer to these questions, you can build your cardio program. Prepare for the appropriate distance – if your course is these 3 miles make sure your cardio program builds up to a little more than that. Train on uneven or similar terrain to the course by running trails. And if your course is hilly make sure your cardio route or treadmill program has inclines built in. The best part about the mud runs are the obstacles! These often involve different feats of strength. Carrying heavy weights, burpees, crawling under barbed wire, climbing over walls, and much more. Looking at these tasks, when you train for strength/power in your program, your exercises should prepare you directly for them. Use total body exercises that involve squating, lunging, pushing, pulling and lifting. You’re body is not seated in the race or isolating certain parts so strength machines may not be the best choice. Utilize free weights and other tools to mimic the demand of obstacles. For example, you will need to pull yourself over a wall in the race so choose an exercise like a pull up because, you guessed it, it involves pulling. Not ready to take on the training yourself? Check out our Mud Run training program at Dynamic Health and Fitness. We will help you conquer the course as we have already with many other individuals like yourself! Total Body Conditioning: 3D Matrix Performance Series	What Are The Benefits Of Infrared Heat?